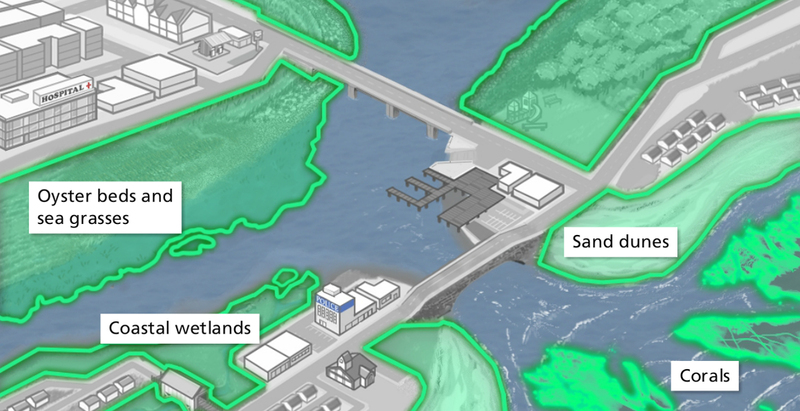 Watch this video to see how natural resources protect communities from coastal flooding. This simple video explains green infrastructure—what it is and how it protects communities from coastal storm impacts. The video also provides information about actions communities can take to reap the benefits from this nature-based storm protection technique.